Loch Glascarnoch dam collects water from Lochs Droma and Viach. 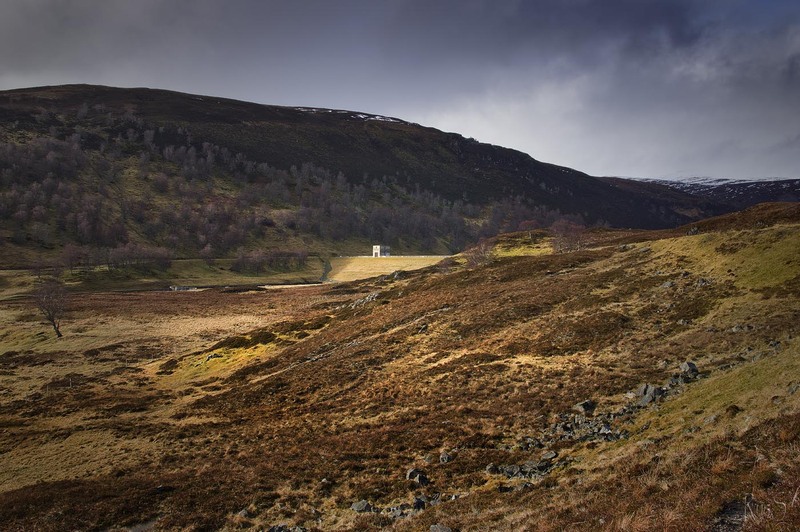 Water from Loch Viach flows into Loch Glascarnoch through tiny Viach power station. From here, a pipeline flows to Mossford power station. Loch Viach collects water from a different catchment and feeds it into the scheme. Viach dam is built of rubble with a turf top – unusual for Scotland. There’s no spillway because overflow would cause erosion. Instead, two spill towers in the loch drain water to a place below the dam.